/FAQ /Can participants pause and resume later? 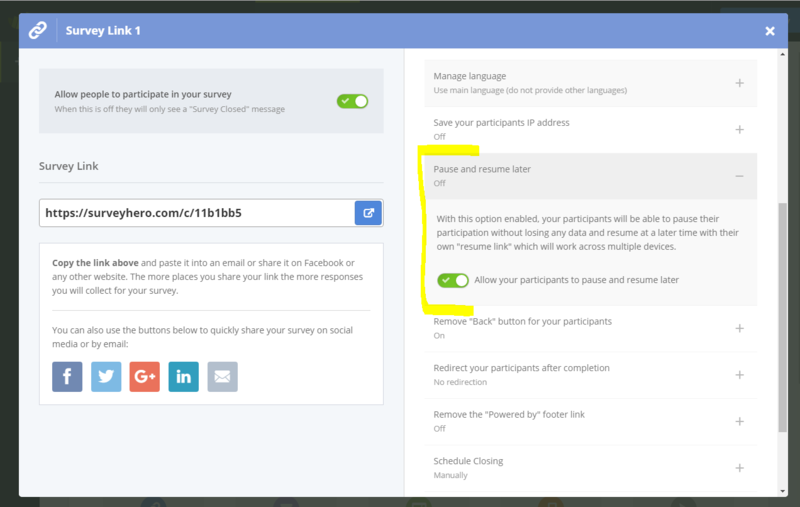 When this option is active, your participants will see a “Resume Later?” button at the top of the survey. When they click on that they will be asked if they want to pause. If they decide to pause their participation, we will save all existing answers (including the ones on the current page) and generate a unique “Resume Link” for them. The participant will be able to use this “Resume Link” at any time across devices. They will be taken to exactly where they left off when they paused, without losing any data they previously entered.